Everyone wants to have beautiful, dazzling white smile, but to ask for such services to the dentist for many people – something from the category of luxury. Meanwhile, our grandparents knew how to whiten teeth at home, and their methods have not lost their effectiveness and to this day. What are ways (methods, tricks) to whiten teeth at home dramatically, safely, instantly? Is teeth bleaching at home safe? Read about dangers, risks. Some might say that they are less convenient and less effective, as the tray with bleaching gel or special sticks, but on the other hand, some home remedies have a relatively gentle nature of the effects on tooth enamel. Do not expect success with home whitening wonders if your teeth become resistant brownish tint on the systematic use of direct smoke or tea and coffee, folk or expensive remedies are unlikely to help you. In this case, the whiteness of teeth back to help only the “advanced” methods salon. They also help to restore it in the situation where the enamel appeared pigmentation of tetracycline or fluorosis. Teeth whitening home methods will not give quick results: These procedures should be performed regularly, at least for a month or two, but if administered too often they may adversely affect the condition of tooth enamel. 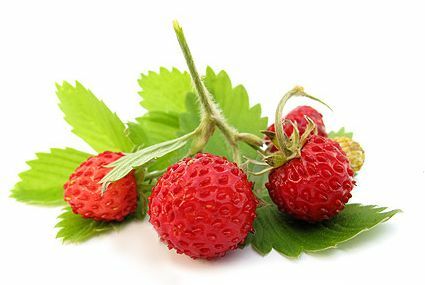 In the spring and summer, when fresh berries are available, you can use them for home teeth whitening. It is best suited for this purpose, strawberries. We need to take one berry a few times and hold it over the surface of the teeth, as if wiping them. You can try them in another way: a few berries to blend until they are pureed, put it on your toothbrush and brush your teeth. In the fruit acids contain clarifiers, but change the way the color of teeth at least a couple of tones will not succeed. In the old days to clean your teeth often used carrots and apples. Possess the same property cauliflower and spinach. Another means for home teeth whitening from the arsenal of traditional medicine – wood ash. Sifted pinch of ash, you can simply rub your finger over the surface of the teeth, but much more hygienic to use a toothbrush. Activated charcoal has virtually the same effect. Grind the pills with a mortar or grind in a coffee grinder till they are a fine powder. Coal is often combined with the usual toothpaste and brush their teeth in such a composition. Whitening teeth at home using baking soda is a double edged sword. It gives almost the best result, but at the same time inevitably spoils the tooth enamel: it microcracks, which may subsequently become an open gate to tooth decay and other dental problems up to persistent bad breath. A pinch of baking soda rubbed on the teeth with a brush and then thoroughly rinse the mouth. Sometimes the soda is mixed with a tooth-powder in a ratio of 1:2. In any case, brush your teeth with baking soda should not be more than once a week or ten days. If you rub the teeth slice of lemon, then they will become much whiter and acquire a beautiful sheen. But citric acid is also quite aggressive with respect to tooth enamel: it dissolves the inorganic salts of calcium, resulting in a tooth becomes brittle and vulnerable to various kinds of bacteria. This method can be used only in exceptional cases, it is in any case should not become a regular. Suitable for teeth whitening is a solution of hydrogen peroxide, which is usually sold in pharmacies under the guise of a disinfectant solution. The scheme is simple: to moisten a cotton swab with peroxide and clean their teeth. can still be wet the fluid and a toothbrush to brush your teeth, then do not forget to rinse thoroughly with warm water mouth. Swallow peroxide in any case impossible. The contact time with peroxide tooth enamel should be very limited (no more than 1-2 minutes), otherwise it may suffer. By the way, hydrogen peroxide is the basis for almost all methods of tooth whitening salon. PS: If you have your home teeth whitening secrets, you can also share them, add comments to this article.